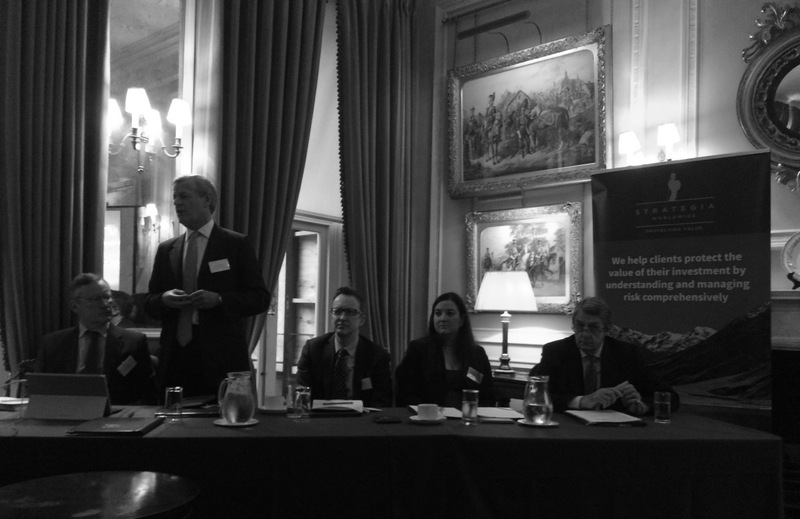 Strategic risk management consultancy Strategia Worldwide and risk research, analysis and strategic forecasting company Verisk Maplecroft hosted a joint breakfast seminar on Wednesday 24 January 2018, 8AM to 10AM at the Cavalry and Guards Club, London. The Keynote speaker was Rob Halstead, Head of Risk Management at Crossrail between 2009 and 2016. Crossrail is the biggest ever infrastructure project in Europe and has been described as a triumph for risk management. * The event was by attended by more than sixty guests from across the extractives and risk industries. Guest speaker, Rob Halstead – who is now a Director at Turner and Townsend, highlighted the importance of risk management being ‘central to project planning from inception through to delivery’. At an operation level Rob focused on the need to ‘walk the walk’ as well as ‘talk the talk’ in respect of risk management. When considering a comprehensive approach to risk he discussed the importance of sustained engagement with the board and senior management (ensuring a clarity of strategy from the top and a consistent message throughout the duration of the project) and an embedded culture of risk management through the organisation. Rob also commented on the increasing demands of the regulatory risk environment and the need to embrace best practise and stakeholder engagement. Rob also commented on the fact that it became apparent quite quickly how “above ground” risks including environmental, social and political risks were as important and those to do with safety, cost, schedule and quality. This led neatly onto Sir Richard Shirreff, from Strategia Worldwide, who spoke on ‘how a truly comprehensive approach to managing risk is essential in protecting the value of investments’. Looking at the inter-relationship between risks such as technical, political, environmental, social, and regulatory risks, as well as security risks, can help companies and investors fully understand complex environments, assess risks, break down silos, identify gaps and understand the relationship between risks. This allows companies to realise opportunities and can provide an assurance ‘kite mark’ to investors. By focusing on a recent case study from Cote D’Ivoire Edward illustrated this approach that addressed technical, political, environmental, social, and regulatory risks, as well as security risks to produce an integrated solution. Jimena Blanco wrapped up the presentation by discussing the need to stay ahead of emerging risk issues through the use of data-driven analysis. She highlighted the benefits of creating a clearer picture of risk through data collection assessment and measurement, enabling companies to better understand their risk landscape and put in place strategies to mitigate against these risk. Overall, the presentations and discussion underlined there is a growing need within the extractives industry to take a comprehensive approach to risk management for identifying all (above ground as well as in the ground) risks and the interdependencies between them. Strategia Worldwide Ltd brings together combined senior expertise from the military, political, diplomatic, law-enforcement, humanitarian, social development, strategic communications, cyber and insurance worlds and operates in the UK and overseas. For more examples about what we’ve done and to see the team, please visit our website. For an independent view, see the London Evening Standard’s Chief Business Columnist Anthony Hilton’s article. Verisk Maplecroft integrates global risk analytics, expert insight and user-centric platforms to help organisations build resilience and unlock competitive and reputational advantage. Currently Director at Turner and Townsend, Rob was Head of Risk Management for Crossrail from 2009 to 2016. During that period he led the development and implementation of a comprehensive risk management framework, developing the policy, process, systems and tools required to effectively manage risk on this infrastructure mega-project. 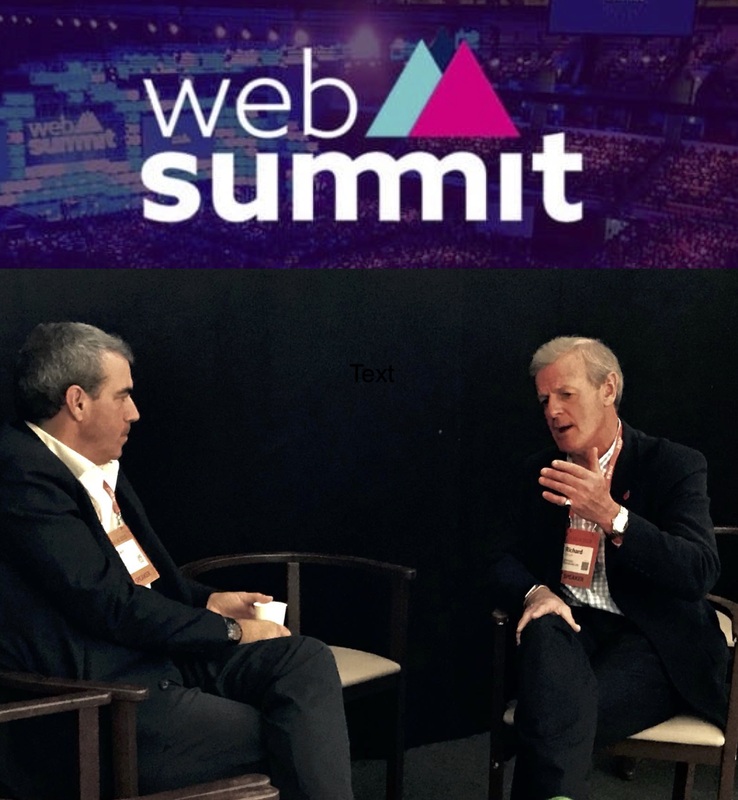 Sir Richard Shirreff co-founded Strategia Worldwide in 2016. Richard is widely respected in the UK, across NATO countries and beyond as one of the leading strategists of his generation. He has extensive experience of building unity of effort with different nations, governments, the humanitarian community and wide variety of other stakeholders in order to resolve complex problems. His first hand understanding of the challenges of decision making under extreme political and media pressure, and proven record of leading dynamic change management makes him well placed to support our clients in the development and execution of strategy to manage complex operational risks. Richard focuses much of his time on his role as trusted advisor to the CEOs and Boards of our clients. Prior to working for Verisk Maplecroft, Jimena edited several publications at Latin News and wrote extensively on Latin America, covering political, economic and security issues. She was also a contributor to the International Institute for Strategic Studies’ special dossier, The Farc Files: Ecuador, Venezuela and the Secret Archive of ‘Raúl Reyes’. Jimena studied History and Political Science at Randolph-Macon Woman’s College and obtained a master’s degree in Latin American Studies from the Institute for the Study of the Americas, University of London. Jimena is a native Spanish speaker and is also fluent in English and Portuguese. Deputy Chairman and Senior Independent Non-Executive Director at Centamin since 2011. In addition to his role as senior independent director, Edward Haslam undertakes certain additional governance functions. Edward has been non executive Director (and Chairman from June 2007 to April 2012) of the LSE listed Talvivaara plc and since 1 May 2004 has been a non executive director of Aquarius Platinum Ltd. In 1981, Edward joined Lonmin, he was appointed a director in 1999 and Chief Executive Officer in November 2000 before retiring in April 2004. Edward is a Fellow of the Institute of Directors (UK).